FLOW Hive has been awarded the inaugural Primex Innovation Scholarship, giving the business the opportunity to showcase their product to the world. Primex director Bruce Wright said Flow Hive "ticked every box and more" as the first recipient of the innovation award. "The 2018 Norco Primex expo, held at Casino in mid-June, was a watershed event in many ways," Mr Wright said. "Not only was it one of the most successful events since Primex began in 1985, but it also unveiled our renewed emphasis on highlighting the cutting-edge thinkers of Australasian primary industry through our revamped Innovation Hub. "Within our partnerships, the Innovation Hub at Primex is designed to assist Australian-based innovation with the steps to build networks and resourcing towards research and development, manufacturing, marketing and distribution in a national and international market environment. "A centrepiece of the Innovation Hub is the Primex Innovation Scholarship. This scholarship will assist award winners in this pathway, offering exposure, networking and marketing to an international audience in conjunction with the New Zealand National Fieldays. "The Primex Innovation Scholarship recipient will go on to compete in the international category at the New Zealand National Fieldays event at Mystery Creek, Hamilton, the following year. "With Flow Hive being named as the inaugural scholarship recipient we have set the bar very high. I congratulate Stuart and Cedar Anderson and their team at Flow Hive. Like Primex, they are based in the NSW Northern Rivers region and perfectly illustrate the essence of innovation. "They have turned an idea into an amazing international success story." 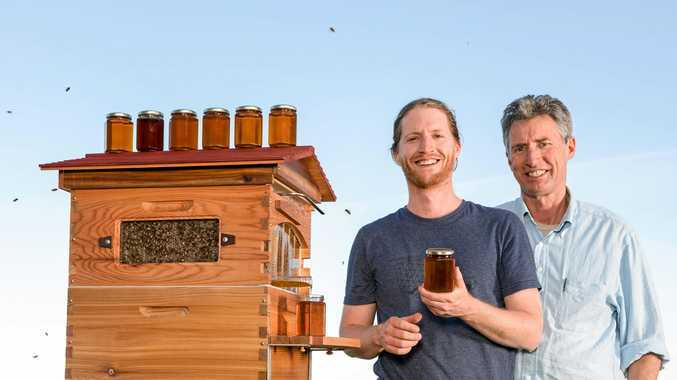 The Flow Hive story is how father and son team - Stuart and Cedar Anderson - invented a revolutionary honey harvesting system, sparking one of the world's most successful crowdfunding campaigns. The result is more than 50,000 flow hives in use in more than 130 countries. Along the way they have collected numerous accolades and awards and can now add the Primex Innovation Scholarship to this list. Stu Anderson, Flow Hive co-inventor and co-founder of BeeInventive, the company behind Flow Hive, said: "I'm particularly pleased about this award because it's in the agricultural sector. It's easy for Australians to forget that agriculture has vitality, that it is a vital part of our economy, and that we have a rich history of innovation in that space. "I look forward to seeing those inventions and meeting the people behind them. "Big thanks to Primex for its work in bringing agricultural innovation to farmers and for its promotion of Australian agriculture." Mr Wright said Primex was honoured to offer their scholarship winner a place at New Zealand National Fieldays, to be held from June 12-15, 2019. "Fieldays at Mystery Creek is renowned worldwide - the largest agricultural trade exhibition in the southern hemisphere. This year it celebrated its 50th anniversary and sets the benchmark for what field days can offer and achieve," he said. "Primex's association with Fieldays through the scholarship offers a great deal of potential, not only for the relationship between the two expos, but also for companies such as Flow Hive to initiate or expand their international markets." New Zealand National Fieldays Event Manager - Innovations, Gail Hendricks said: "We're delighted to have the winner of the inaugural Primex Innovation Scholarship entered in the International Innovation Awards at Fieldays 2019. "These awards are all about showcasing and recognising innovative ideas such a Flow Hive and we're grateful to have organisations like Norco Primex supporting these innovative ideas that aim to advance agriculture both nationally and internationally." Mr Wright thanked the New South Wales Business Chamber and other key stakeholders who have been a great asset in developing the innovation program at Primex. 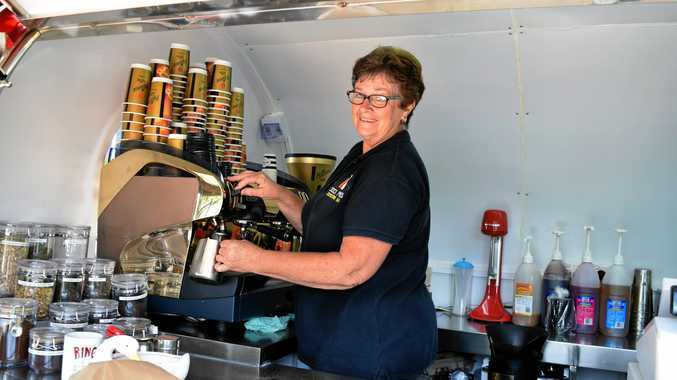 The NSW Business Chamber's Regional Manager Northern Rivers, Jane Laverty said: "The NSW Business Chamber Northern Rivers is proud to be part of the collaboration boosting opportunities for regional inventors. We commend Primex for creating the international opportunities and pathways for Northern Rivers innovators to reach a world stage." The 2019 Primex will be held on May 16-18 and is expected to attract more than 350 exhibitors and result in more than $40million in sales.